So Derk...what do we need to know about the energy sector these days, with climate change, crazy oil prices etc? What are the key issues we need to care about? First off, it really is a perfect storm at the moment. We’ve seen the world coming together to curb global warming in Paris, only a year ago. Rising social and political pressure in conjunction with technology advances and economic shifts are combining to create a positive atmosphere to address one of the biggest challenges of the coming decades. We’ve also seen the sharp fall of oil prices from above $100 per barrel to $27 per barrel in February 2016, currently stabilizing around $45. The reaction from Oil & Gas companies to the crazy oil prices has been focused on survival for much of the last 18 months. Cost cutting was the primary reaction, resulting in the loss of 250,000 oil workers’ jobs. Two out of three oil rigs has been decommissioned and many capital projects postponed and canceled. This was not enough to save many oil and gas companies from bankruptcy. The initial hope of short-term recovery has faded and the realization has hit the market that this is the new normal; we are in a period of ’lower for longer.” Lower for longer means there is a protracted necessity for drastic change in the operating models of Oil & Gas companies. Service providers can play an important role in the internal transformation and conception of operating models that radically change the way the industry works. The reality is the world needs a drastically different energy infrastructure in the future. Oil & Gas companies can be a part of that, but they are so busy surviving their contribution to the energy transition isn’t quite clearly defined yet. But the status quo is not going to help them survive, that is for sure. Refusing to change our ways in today’s energy sector is a certain recipe for failure. The low oil price environment created a momentum for change. What we need to care about is making sure the oil industry uses this momentum to start contributing to the energy transition and be a real player for the Paris Climate agreement goals. I heard Al Gore speak recently and he gave us a lot of hope about the effectiveness of clean tech, solar power, wind farms etc. Is the future bright for our environment and which energy providers can profit from this? Storage is the next wave of innovation that will become economically and technically viable to take the market. This is an important part of the puzzle to make our energy systems futureproof, cleaner and more resilient. Not all Oil & Gas companies have come out of denial when it comes to renewable energy and the fact fossil fuels will be replaced. We have recommended service providers to Prepare for the reality that renewables are here to stay. They need to have a strong story and accompanying service offerings about how to help O&G integrate renewable energy sources and build business and operating models around them. So what is the impact of the digital economy on the energy sector? Is it being disrupted as much as other industries? The disruption is taking a different shape than in many other industries like advertising, news or transportation. Digital has most impact on the operations side of the industry. The products are still the same, oil based products and gas, no way to digitize those or the delivery platforms of these products. Digital technologies are a big part of the answer to the disruption of the industry that has been driven by the current oil prices. As mentioned, the imperative to drive out inefficiencies has long been low in Oil & Gas companies. Now they are operating at a loss. New commercial and operating models are essential for survival. Both commercial and operating models that have been in effect for decades need to be overhauled as a result of these pressures of changing energy production and consumption. There are major new opportunities for new services and revenue streams emanating from these changing regulations, hinging on digital technologies. We will see new commercial models emerge, providing greater flexibility for disaggregated power generation and further unbundling of the energy stack. These new models will be introducing new services and product offerings with a big role for Internet of Things services, bringing to life Machine Learning, network effects and enhanced management of consumption patterns, for both energy providers and consumers. And how can IT / BPO services firms help energy firms today beyond saving them on operations costs? Are they really doing more than merely running the same old IT and business processes at lower operating costs? Is automation being widely talked about in the sector? In a world of high oil prices and cash abundance, most Oil and Gas companies let inefficiencies exist. Now Oil and Gas companies are torn between short-term cost savings and investing in wide scale adoption of new technologies with a longer time horizon and time to value. We are starting to see a strategic shift. After several waves of cost cutting through layoffs, delaying or canceling capital projects, selling off assets and slashing third party costs, the focus of Oil and Gas companies is shifting toward finding operational efficiencies, productivity and new value creation through the adoption of new digital technologies, analytics and intelligent automation. All part of a fundamental transformation of the operating model. » What is the core of our enterprise? » What do we need to do internally, what differentiates us from the competition? » What parts of our processes can we automate? 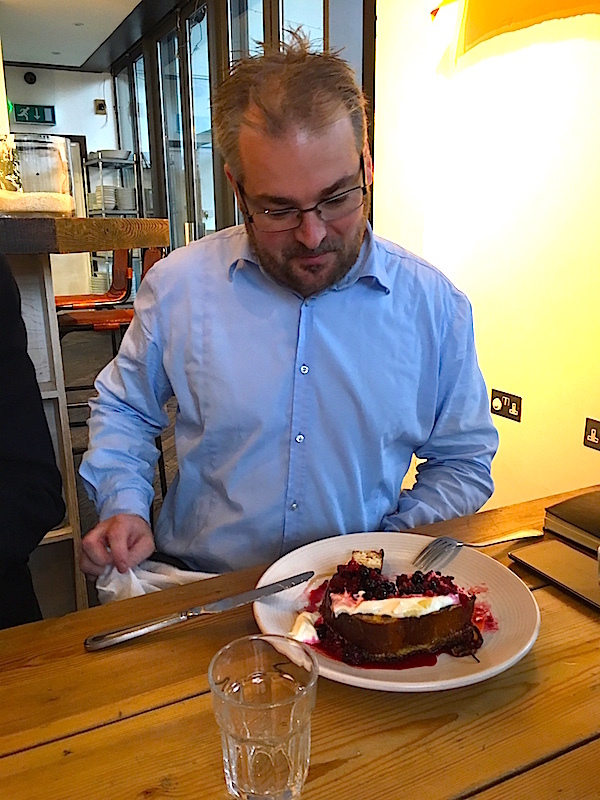 » Can we outsource what we can’t automate? Service providers can play a role in this transformation, bringing more efficiency into processes, fueling innovation, implementing new technologies and preparing Oil and Gas clients for a new era. One of the key attributes we looked for in this Blueprint process was if the service provider has a real Oil & Gas practice, not a collection of contracts with a sign “Oil & Gas Practice” slapped onto it. In this light we are interested in the way service delivery is organized, the availability of industry domain expertise, investments in industry talent, acquisitions of companies with industry-specific capabilities and partner ecosystems. Another point of emphasis in our research is the move to As-a-Service, how service providers are enabling new ways of working, how automation and analytics are used to tackle industry-specific challenges and the level of innovation brought to clients. Accenture has tremendous breadth and depth in its capabilities and experience serving the oil and gas industry, bringing digital platforms to the industry, making it one of the leading service providers in the move to the As-a-Service Economy. Wipro’s Oil & Gas practice is innovation in digital, cognitive computing and automation (Holmes) and commercial models. What stands out is Wipro's ability to bring valuable, new As-a-Service propositions to the market, enabling the introduction of clients' new reimagined digital business models, a crucial capability for success in Energy Operations. Infosys has a strong vision for Energy Operations that centers around actionable and accessible insights. A key driver behind the acquisition of Noah Consulting is their strategy of building foundations for clients that enable data management and data-driven decision making, further use of data and analytics is They are seen as a solid partner for oil and gas companies, helping solve industry specific challenges and build new, digital, operating models. How to do view the whole energy operations landscape in another 5 years? How different will it really look when you look at the pace of change? The value chain will not change dramatically in the next 5 years. Oil & gas will remain an important part of the energy mix for the next two or three decades. Peak oil is expected anywhere between 2030 and 2040, depending on who you ask. For the buyer landscape, the Oil & Gas companies that will survive are those who are able to adapt to the reality of lower for longer, an oil price between $40 and $50 per barrel, drive out inefficiencies and become more nimble. But that means getting out of cost cutting mode and heavily invest in new operations models. Operations driven by data, harnessing new digital technologies. And breaking down silos. Our OneOffice concept is a great way to depict the journey Oil & Gas companies need to embark on in order to build a strong, intelligent, resilient, cost competitive organization. On the service provider side, the winners will be those providers that are investing in deep domain expertise, in the form of talent and capabilities. Who are truly partnering with clients, providing expertise, tech and domain, flexibility and scalability in volatile circumstances. And show a willingness to co-invest and co-innovate. As-a-Service is a huge part of that and we’ve seen tremendous enthusiasm for this concept from service providers and Oil and Gas companies. Bottom line, we are on the cusp of a reinvention of the operating model. No one knows exactly what that will look like, but it will take providers and buyers to come together and put all their resources and creativity to deal with this challenge. And finally... good old Mr Trump doesn't seem to outwardly care much about climate change and alternative energy, etc... What's the inside scoop within the energy sector on him? Are people worried, or confident he will come around to furthering Obama's support for Paris etc? People are definitely worried. Because there is no time to waste for our planet, climate change is a process that doesn’t wait for the next president…. We must reduce our usage of fossil fuels and invest heavily in renewable energy resources. By and large there are two camps; those who fear deeply Trump will turn back the clock and renege on the Paris Climate agreement and meddle with the progress made over the last decade, with catastrophic consequences. The United States only trails China in carbon emissions, so them pulling back on promises and actions to decarbonize the economy would be a blow. The other camp is also pretty negative about Trump’s vision and policy. The first signs, from his campaign claims that climate change is a hoax, a Chinese invention, to the appointment of a staunch climate change denier on his transition team, are not positive. But this group believes there is only so much damage Trump can do, as it’s really the market forces that drive the Renewable Energy revolution that is going on. Natural gas has replaced coal as the cheapest source for power generation. It’s not only much cleaner, It’s now also cheaper. Solar and wind have become economically competitive alternatives, with many wind and solar projects now cheaper than generating power from coal. A president can make a big positive impact, but it remains to be seen if he can hinder and/or slow down the forces of the market, civil society, business and the rest of the world. I would say to President-elect Trump; focus on the future, not the past and put your energy and resources behind natural gas, solar and wind. Those resources have the future, coal is not coming back. It’s foolish to invest in bringing back coal, unless you like smog. And probably the argument Trump will be privy to, the solar industry has been a motor if job creation in the United States and the energy infrastructure needs a major overhaul, so put your infrastructure trillions to work there. 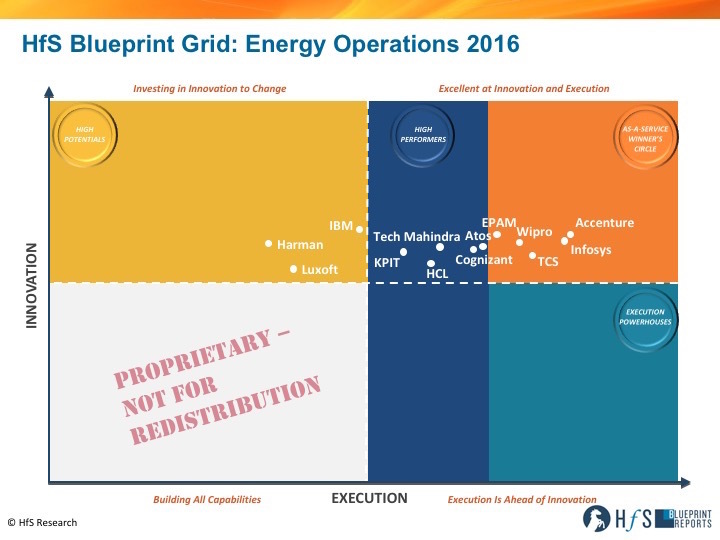 Thanks, Derk - great to hear your views on the space... for all HfS premium subscribers, click here to download your copy of the 2016 HfS Energy Operations blueprint report.